I love french toast...probably more than waffles or pancakes. So I often wonder why I don't make it more often. Maybe because it has always been such a mess. Even the usual overnight french toast recipes seemed to turn out a mushy mess. 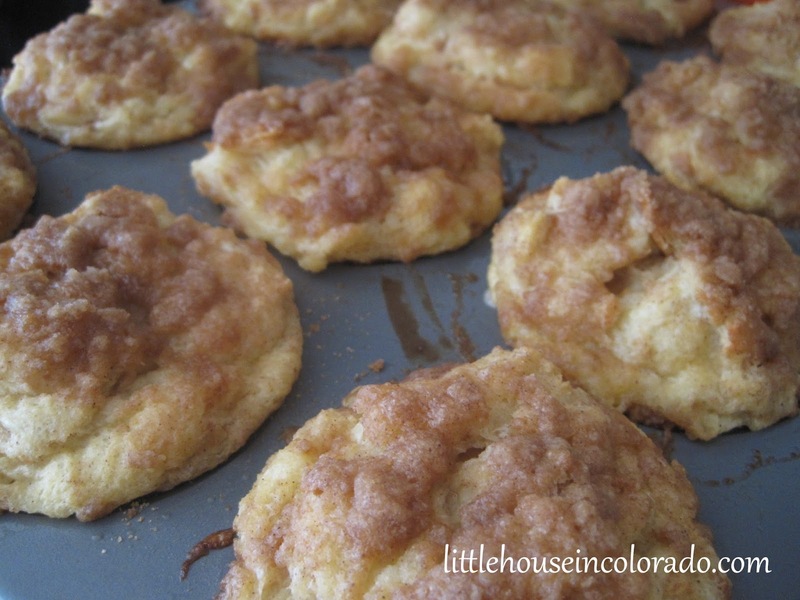 But then I found this Baked French Toast Muffin recipe on Pinterest from Two Peas In A Pod. Using this recipe meant I could do all my prep work the night before and have them in the oven quickly the next morning. The muffins came out of the oven with a nice crisp streusel top and a firm, moist (not soggy) center. I haven't changed the recipe at all from the original version from Two Peas In A Pod but I have changed the procedure a bit to make it a lot easier. This procedure yielded more muffins (though a bit smaller). The leftovers don't last very long because the "Pickles" eat them the next day for their breakfast. To reheat, cut the muffins in half then heat in the microwave for about 30 second to a minute. Mix together milk, eggs, granulated sugar, 1 TB vanilla extract, and 1 tsp cinnamon together in a medium sized bowl. Pour egg mixture over bread cubes and combine until all the bread is coated. Cover bowl with plastic wrap and place in the refrigerator for several hours or overnight. Spray a 12 cavity muffin pan with baking spray. Spoon bread mixture evenly into the muffin cavities filling each one to the top (I usually have quite a bit of bread mixture left over and have to use a 2nd pan). In a small mixing bowl, combine all the streusel topping ingredients. Mix with your fingers, a fork or a pastry blender until the mixture resembles pea-sized crumbs. 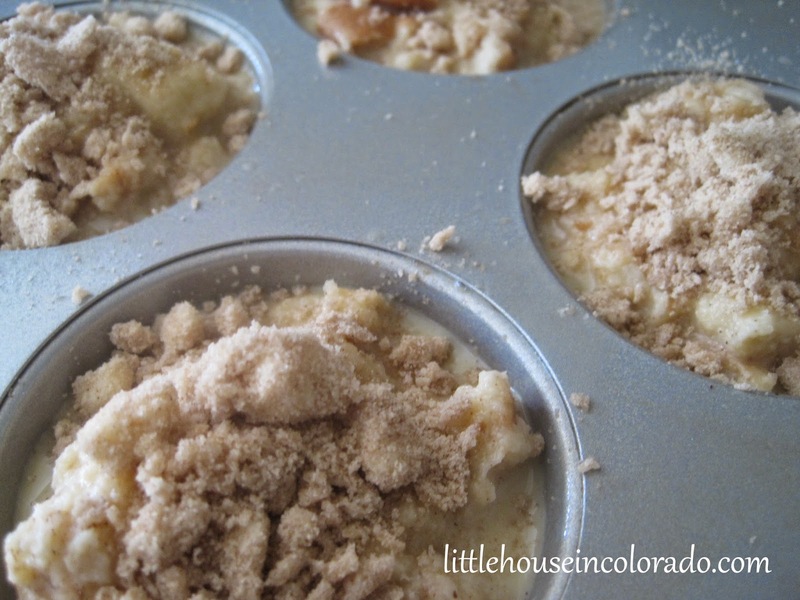 Sprinkle the streusel topping over each muffin. Bake in a 350 degree oven for approximately 25 to 30 minutes. Muffins will be puffed up quite a bit at this point but will sink back down quickly as they cool. Cool in the muffin pan for several minutes. This will make it easier to remove them. Remove muffins from the pan and serve immediately with butter and warm maple syrup. I buy the day-old french bread loaves in the clearance area of my grocery store bakery to save some money. I also take advantage of the opportunity to use up extra wheat or white bread I might have in my refrigerator (bread heels, extra rolls or buns, etc). Usually, I wind up with an additional 2 cups of bread to add to the recipe. When that happens, I also add an additional egg and 1/2 cup milk to the recipe (per 2 cups of bread). Since I'm only adding a small amount of bread, I don't bother to add more sugar, vanilla or cinnamon. If I were going to add a lot of extra bread, I might just try to double the recipe. I usually get from 18 to 24 muffins from this recipe...especially if I use up leftover bread.